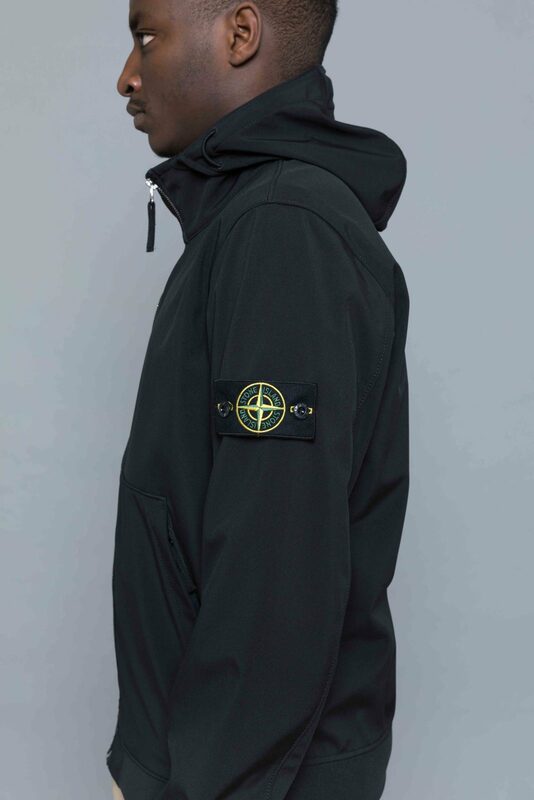 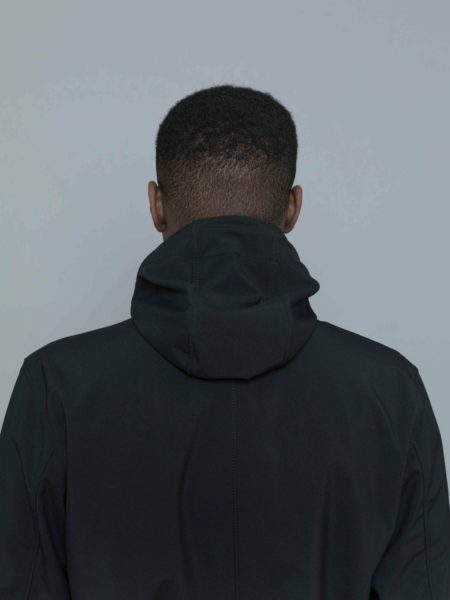 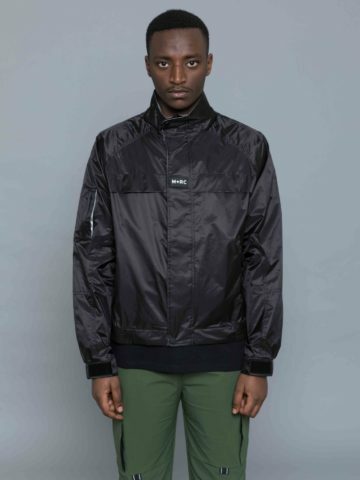 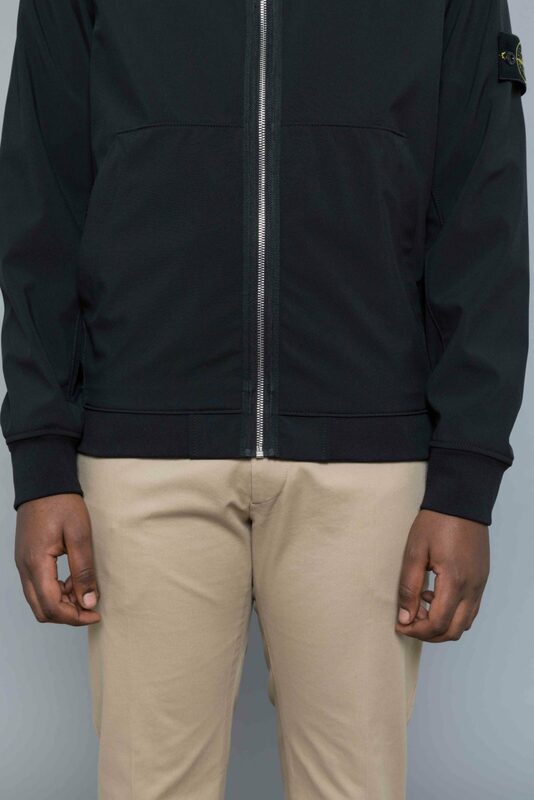 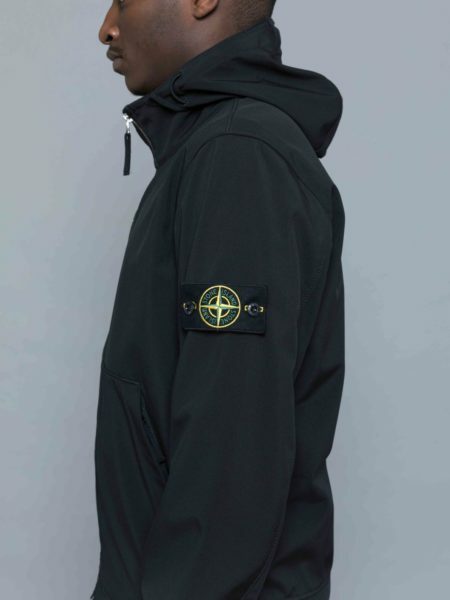 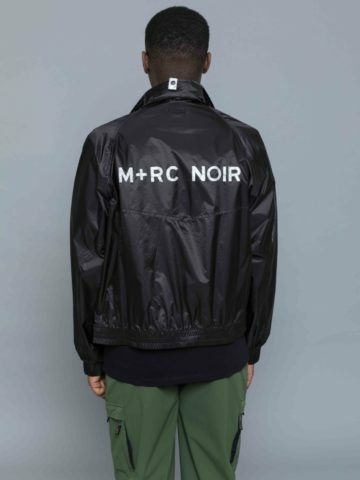 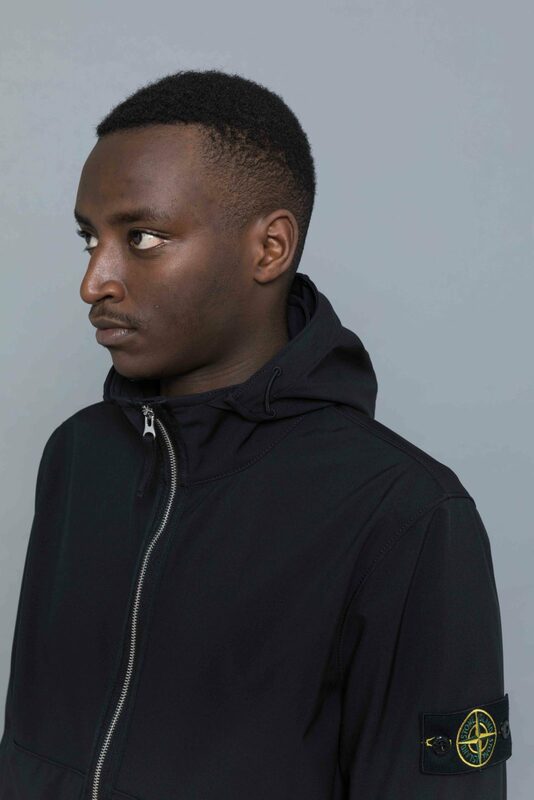 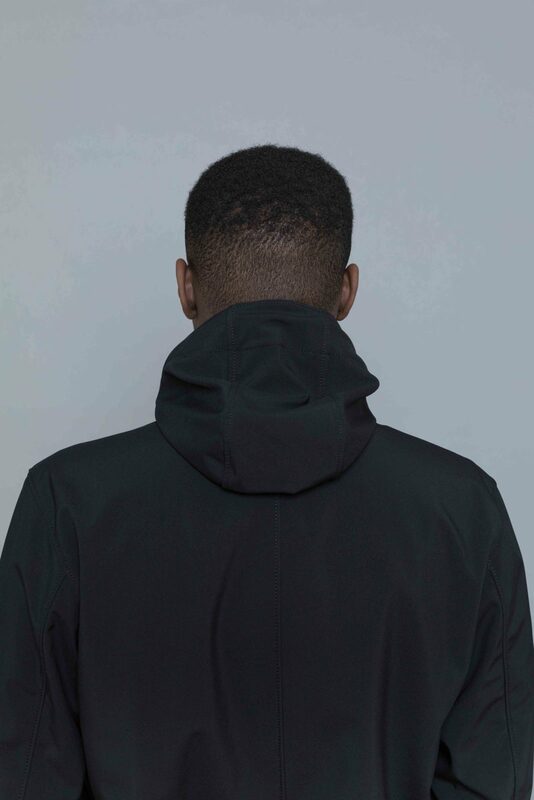 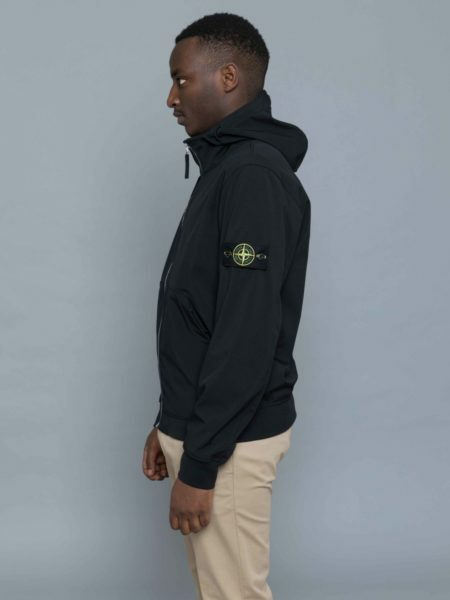 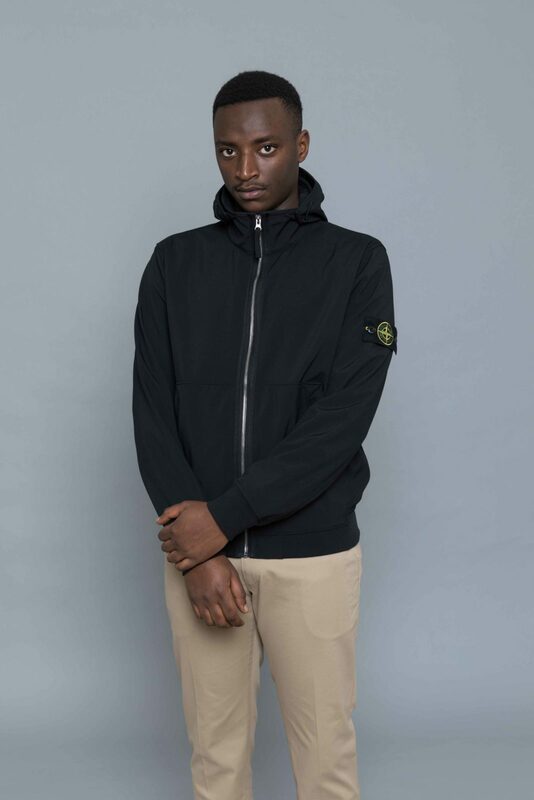 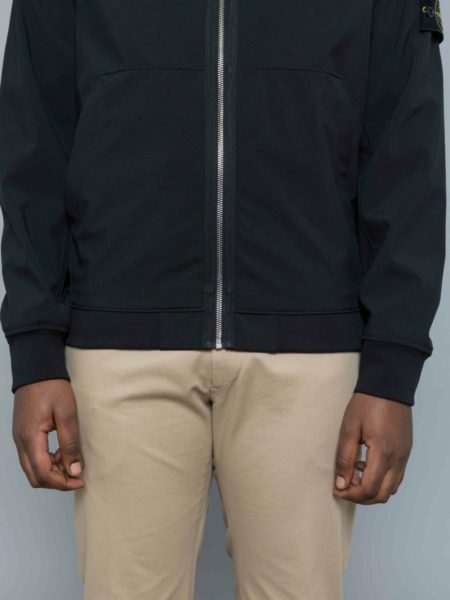 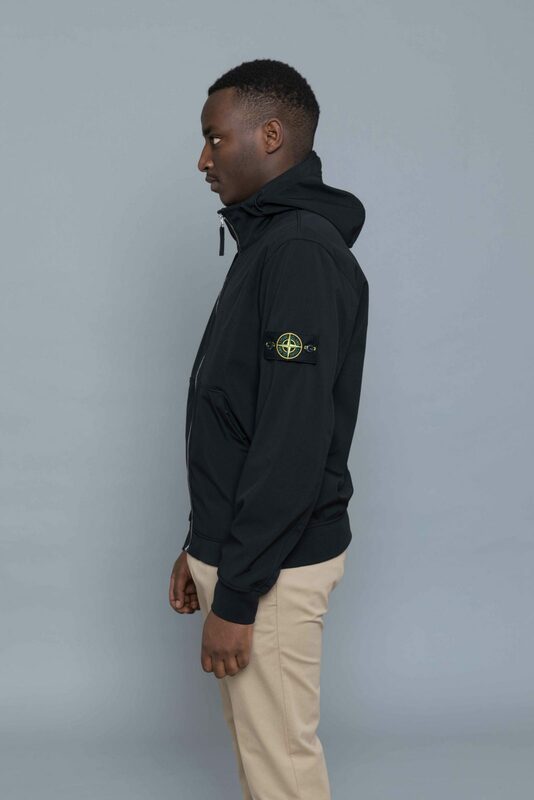 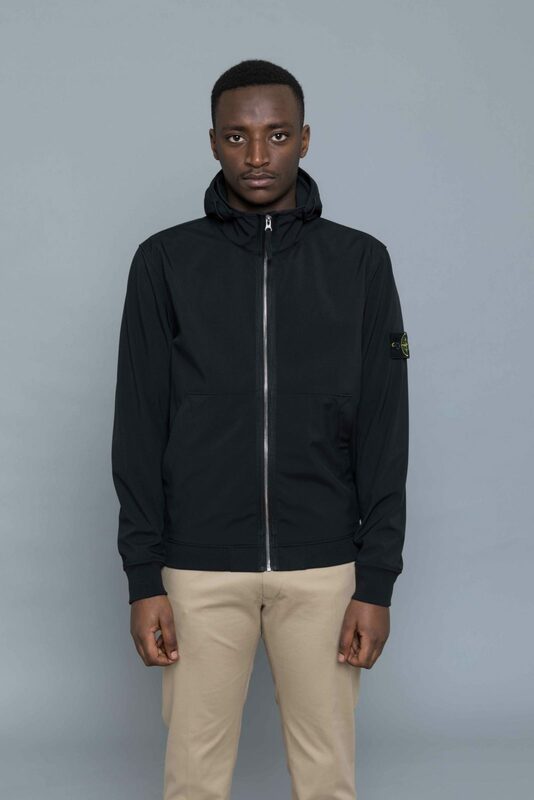 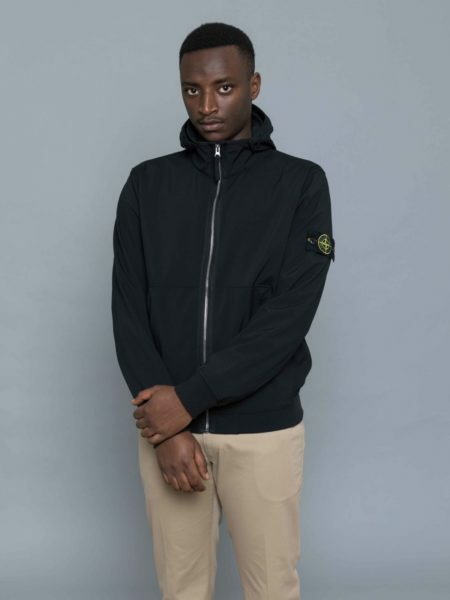 Stone Island Light Soft Shell R Jacket Black is cut from a 3 ply performance fabric. 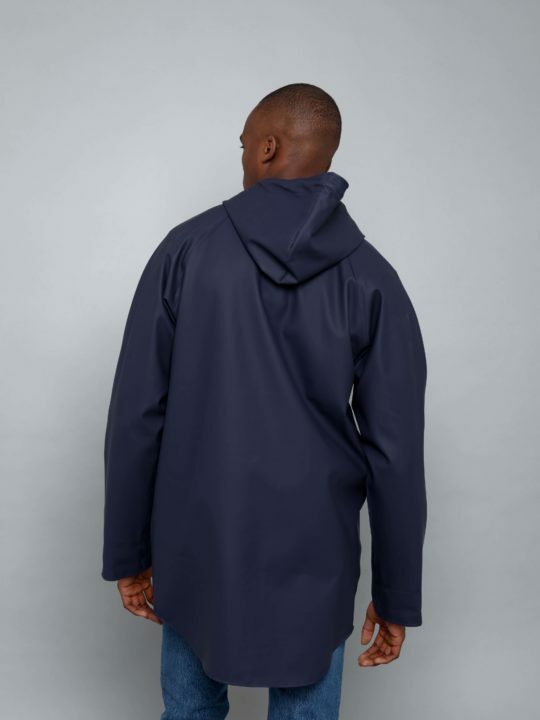 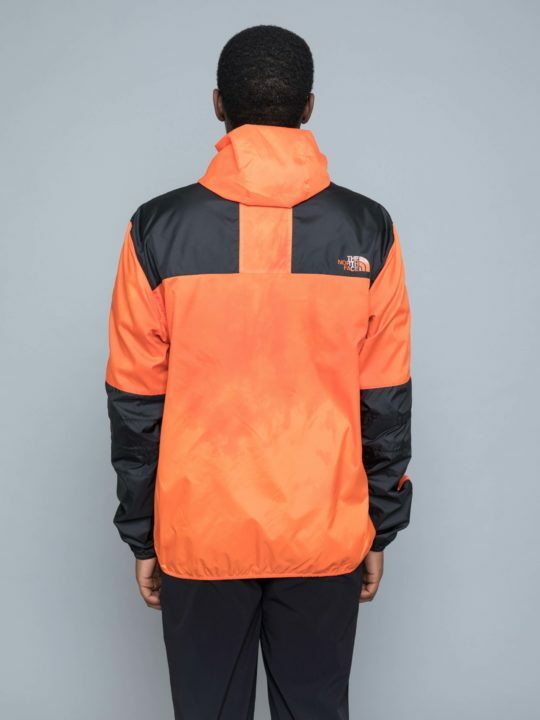 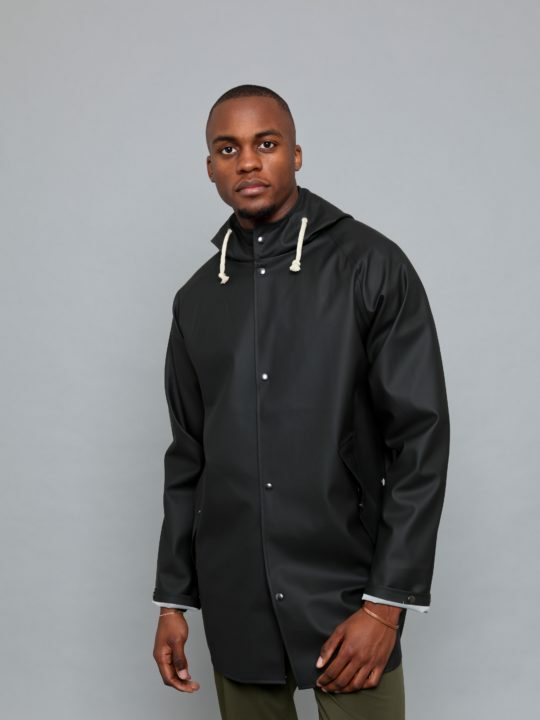 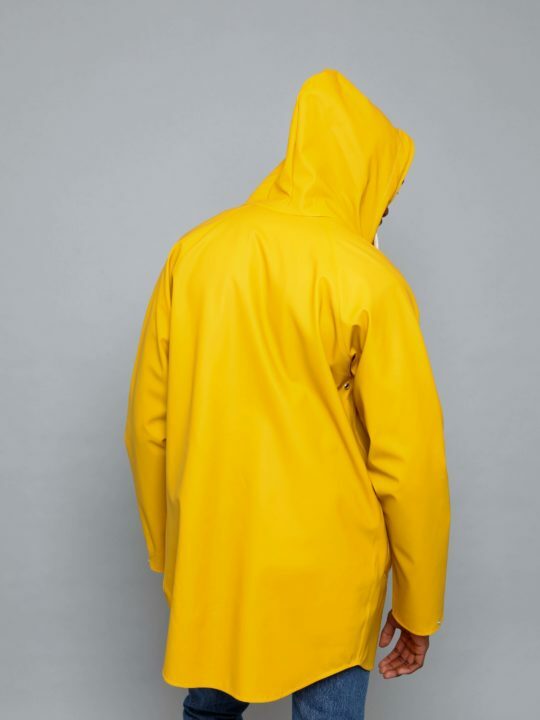 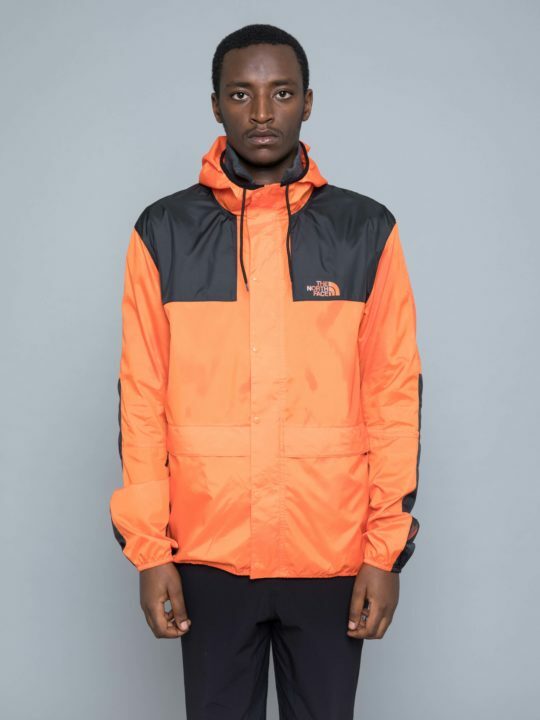 The Soft shell is waterproof (8000 MM water column), windproof and breathable. 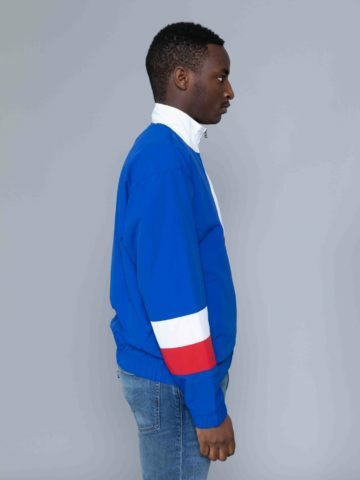 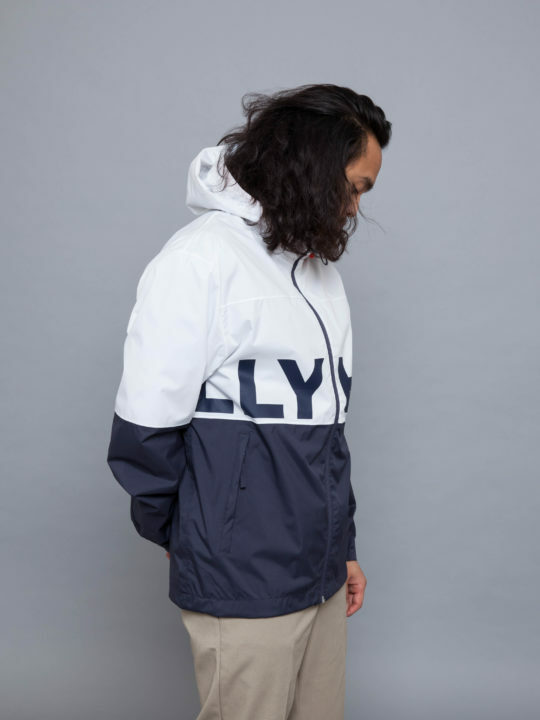 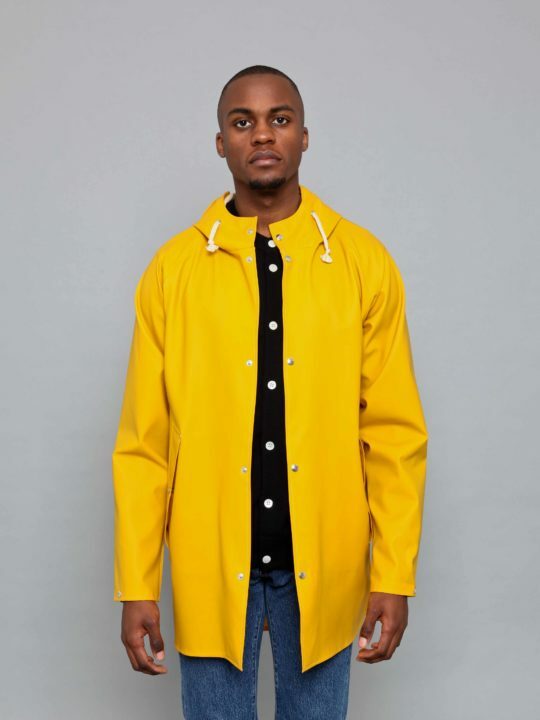 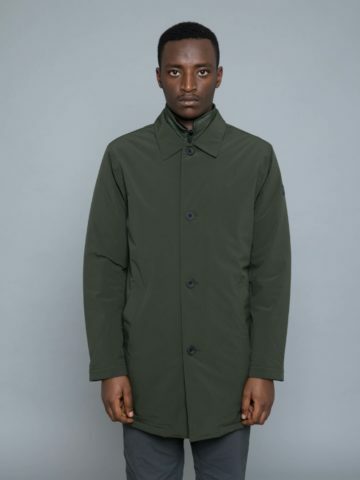 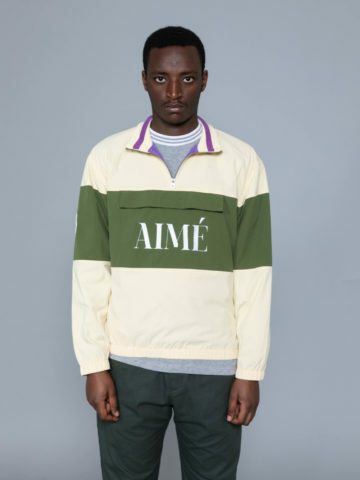 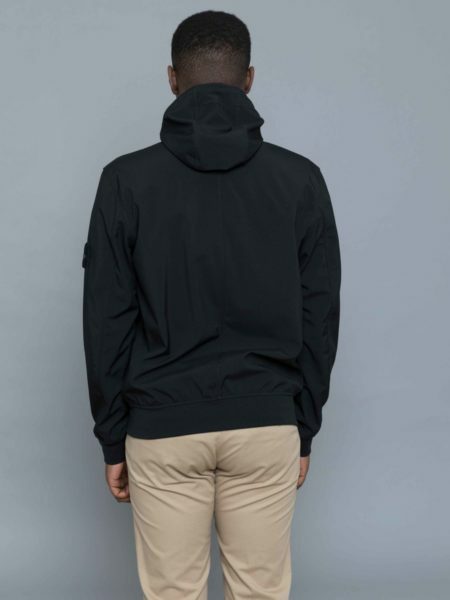 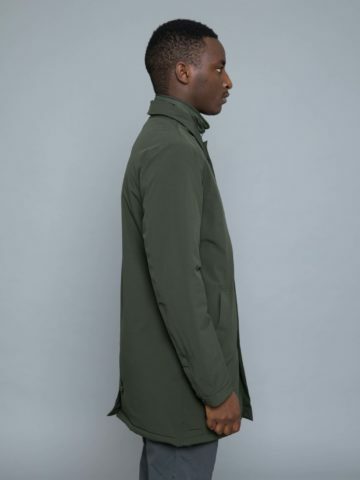 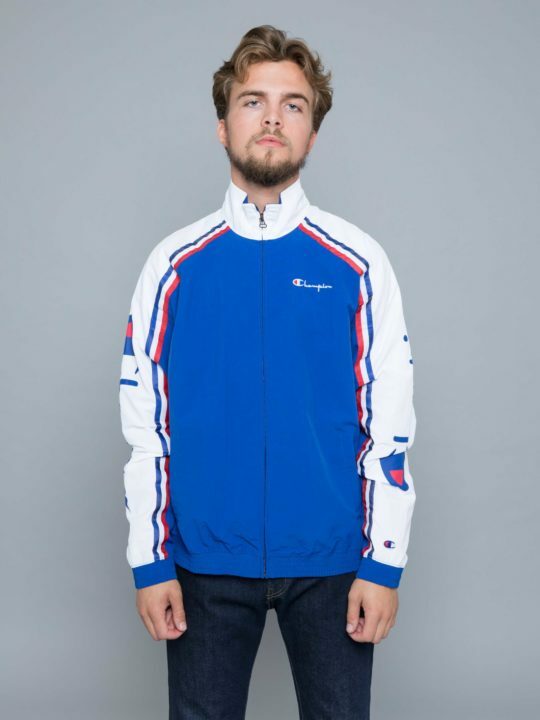 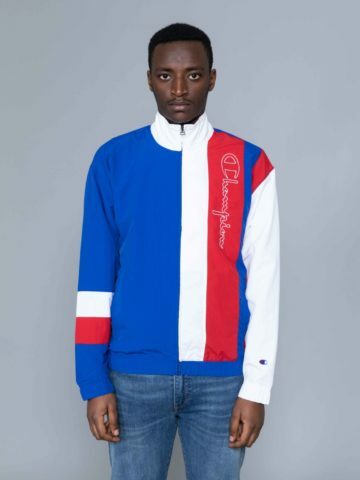 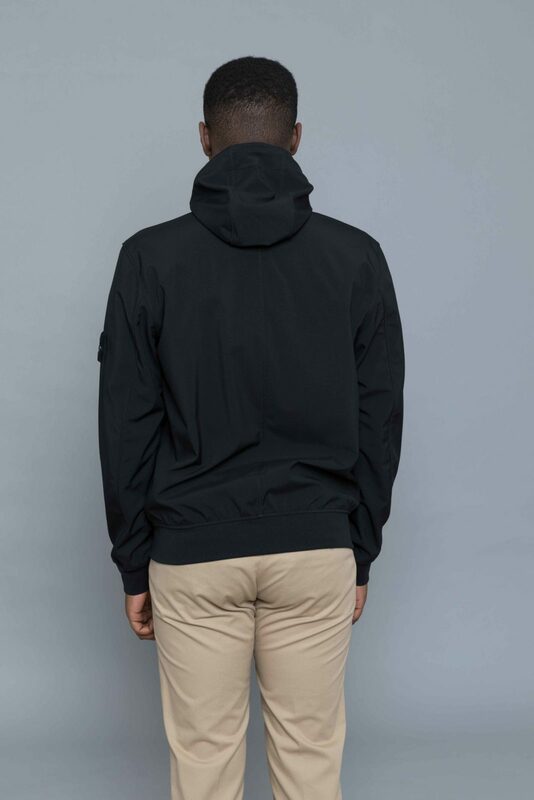 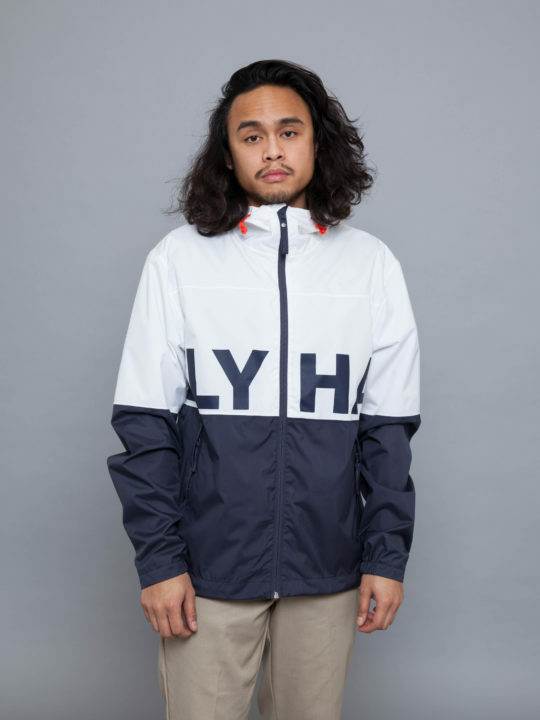 A faithful every day jacket, you can wear with almost everything. 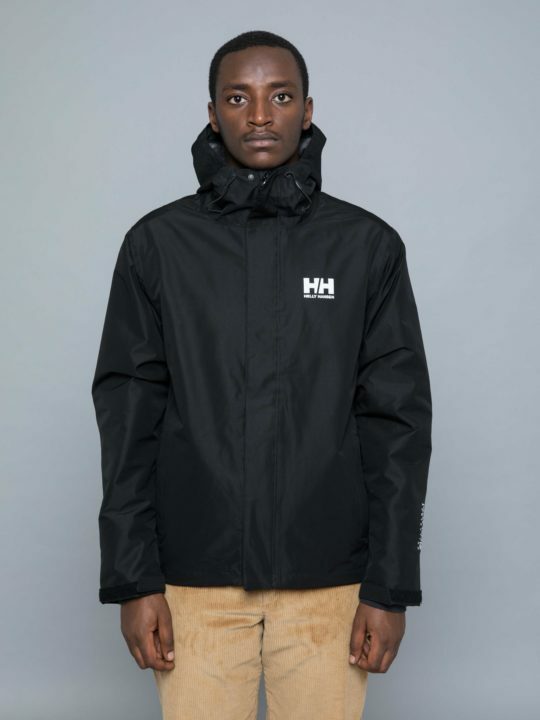 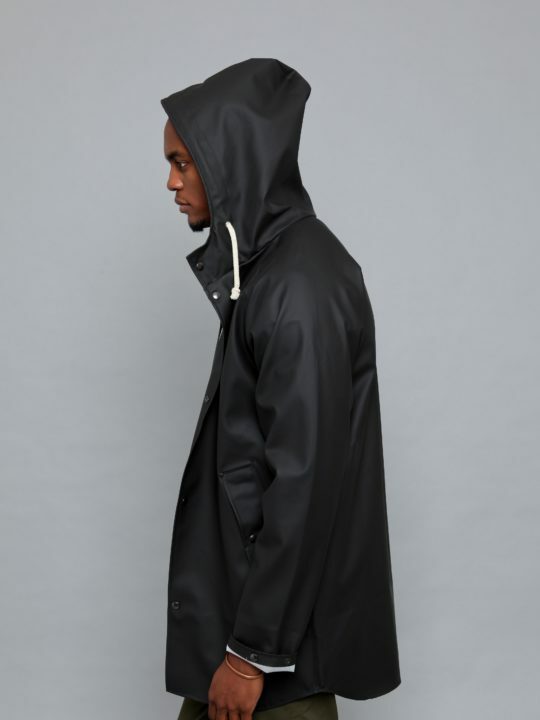 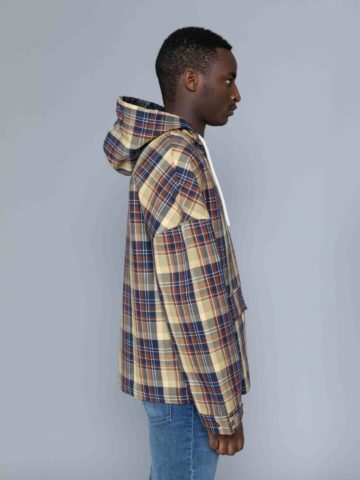 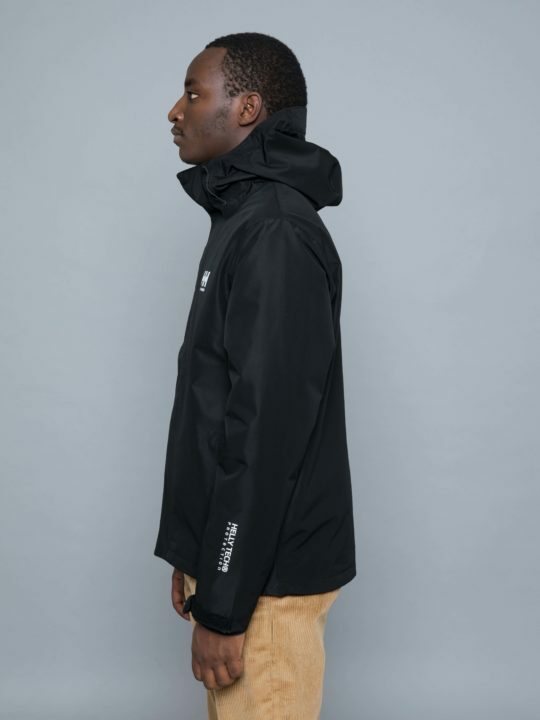 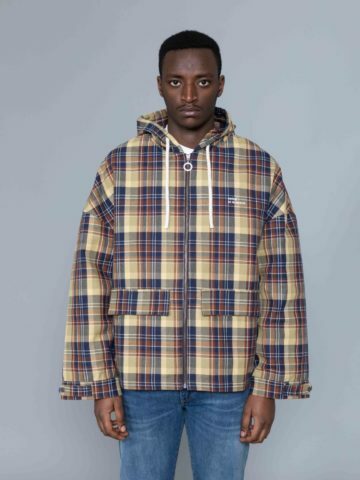 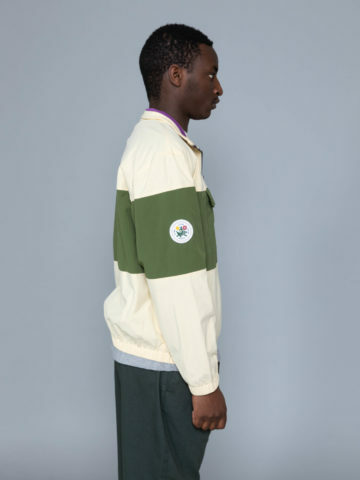 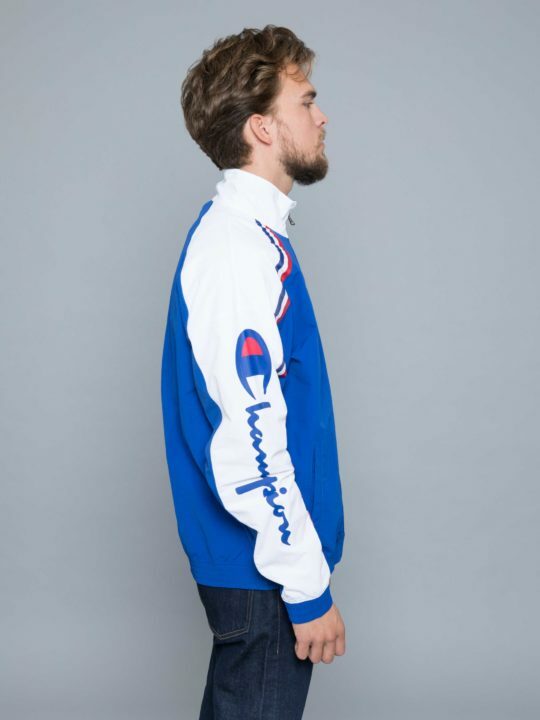 Featuring adjustable hood, standing collar and hidden zipped pockets.